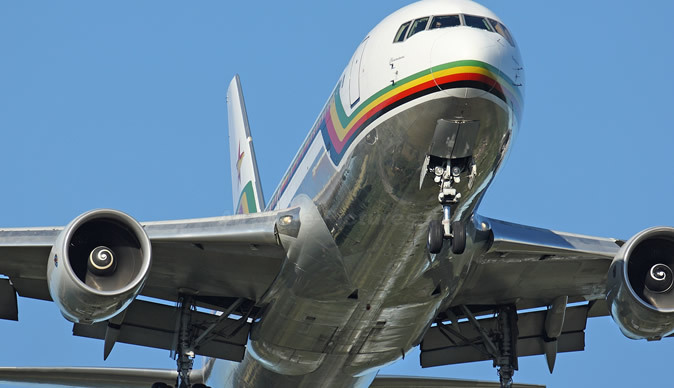 Zimbabwe's struggling national airline has suffered another setback after the withdrawal of a plane it had hired from Zambezi Airlines. Three of Air Zimbabwe's own planes have also been grounded. According to Newsday, the national carrier owes Zambezi Airlines around US$400,000 (R2.75 million). Air Zimbabwe was leasing a Boeing 737 from the company after its three planes were grounded. It is understood that the leased plane serviced the vital Harare-Johannesburg route. Air Zimbabwe's CEO Innocent Mavhunga insists passengers flying to Johannesburg have not been affected. But sources have told Newsday that the carrier had to deploy one Boeing 767 from the Beijing route to service flights to Johannesburg.